The Gemini System: the last bastion for a humanity driven from Earth by the hostile Ashriari. Now established and well-inhabited, the descendants of Sol begin life anew, expanding, learning, prospering, and, as always, fighting. 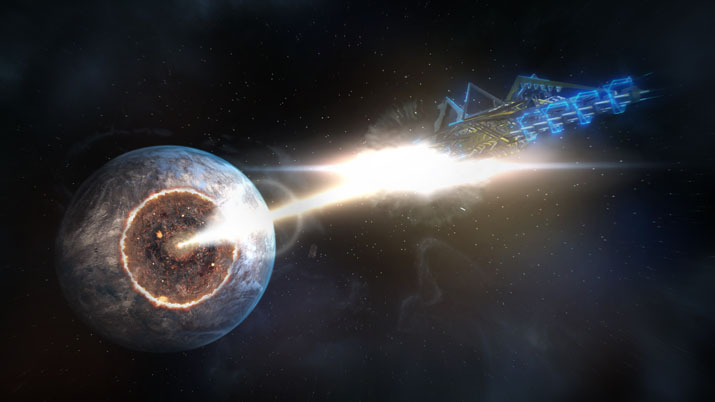 Such is the world of Starpoint Gemini Warlords, and — as befitting the Warlords addendum — you are almost immediately thrown into the conflicts and intrigue of Gemini. The review copy I was given might have had a special start to the campaign (I’m not entirely sure), as such, the story elements I encountered may not be a part of the experience for others. The section I saw wasn’t what one might consider ‘required reading’ though, rather it was a simple opening statement to explain the plot, your place in the universe, and the context for your actions going forward. You start the tutorial as a side character in charge of a frigate, escorting your faction’s newest battleship, when things go predictably wrong. A mysterious hostile force attacks, and when you run back to defend the central command starbase out of which you operate, the battleship is destroyed. In the aftermath, you scan the wreckage and discover (in a neat twist) your character. After they pull you out of your escape pod, barely alive, you’re informed that your faction’s government blames you for the failure to defend the new battleship, and you are demoted to lowly ship captain. You must climb your way back up to command, but for the time being, you’re tasked with a few missions to investigate the parties that instigated the fighting and their mysterious goals. Mechanically, the tutorial-of-sorts started me out running with a slightly larger ship than you actually end up with for much of the initial period, though it seemed comparably maneuverable. As I got going, I hit a button to clear the movement commands from the screen too soon (brazenly thinking I could figure it out), and I was rewarded for my hubris with a control scheme that I found somewhat unintuitive at first, but managed to grok in short order. There’s a certain logic to controlling your ship, even if that logic doesn’t immediately jive with your intuitions. Nonetheless, Warlords controls rather smoothly, and avoided some of the UI clutter which sometimes plagues space sims. The autopilot system was especially pleasing, as it allowed me to target distant objectives and have the ship automatically course to them, dodging asteroids and space junk without any input on my part. It made long journeys less tedious, at least, allowing me to focus on other tasks as I waited. It’s worth mentioning that long is subjective here, as there are expendable items, called T-Drives, that allow you to warp to a location much, much faster. They’re not terribly expensive, in the scheme of things, but they are pricey. I actually enjoy that factor a bit, as it lets you choose between expediently pursuing your goals, or taking the path less traveled and experiencing the quite dynamic universe; more than once, I found myself drifting from the main missions to explore mysterious signals and interesting points that popped up on the star chart as I flew by. There’s certainly no shortage of things to do. Included in this list of things to do, is, of course, combat, and this may be my first gripe with Starpoint Gemini Warlords. 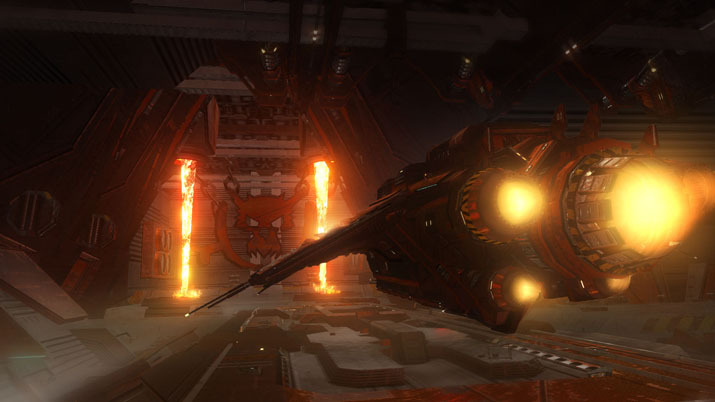 Combat is exciting, flashy, chaotic and colorful — everything you want from a space sim like this. Yet, for all that, I found myself fighting most engagements like a turret: fixed in place, not moving unless the target was breaking away from my weapons range. I adopted this less-than-stellar play style after I noticed that, first, the AI can auto-target me and, second, that, while I could target them with my systems and set them to auto-fire, I couldn’t lock my camera on them to see what was actually going on. Maybe this is my misunderstanding of the camera controls but, as some abilities do seem to require your shop be facing the target at a particular angle, it quickly became difficult to engage enemies that were weaving in and out of my vision. To compound this issue, much of the important information about my target (hull integrity, shield strength, speed, etc), were not visible unless I had them in my sights: perhaps the pitfall of too sleek a UI. So, I stood still. Doing so let me to track enemies easily with little penalty. Enemy weapons always seemed to have perfect accuracy, even at maximum speed, so it seemed like I might as well not bother with dog-fighting when being stationary gave me a much better ability to track their movements. Perhaps it’s an issue of skill, and I’m just bad at dog-fighting, but it seems a strange thing to have to do with a frigate, or a battleship, especially when your turrets can auto-target the enemy. Still, my own turret-mode tendencies aside, the combat is actually quite exciting, and somewhat reminiscent of the cool-down management you find in MOBAs. Your character has a passive skill and four active abilities (decided during creation), and these strongly dictate how you play your ship. I chose a sniper type build, enjoying long-range combat, and was rewarded with a shot that does more damage at long range, an ability that instantly pushed targets away a good distance, a decoy to draw their fire, and, upon reaching level five, a long-range warhead. These abilities can be upgraded as you level up your character, growing more powerful as you invest skill points into them, though I’m not sure if you get new ones as you go further in the game. You can also upgrade various passive perks that increase the effectiveness of yourself and your ship. These are more important to the broader, perhaps more unique take on the game: the warlord part. 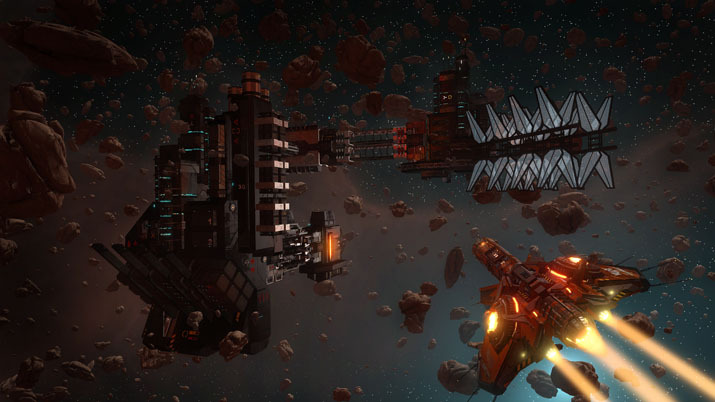 This title seems to have as a core concept a capital ship sim merged with a 4X type game. The early game of the campaign is spent leveling your individual ship and working to improve that, but once I completed the run-up missions, I could actually take command of the ship making, fleet control, and overall management of my faction. I was fairly excited about this, as it lets you research, explore, conquer territory, and deal with other factions in something of an interesting manner. It can also build and deploy fleets that can operate alone or support you in your endeavors. And don’t overlook conquering territory, as it allows you to build facilities that benefit your faction and provide tangible resources or utility. It’s pleasing to watch the map come under your control, all the more so with Warlord’s graphics, which beautifully render the worlds and detritus of the Gemini system. However, while the visuals are nice on the eyes, I don’t know if you would call them current-gen. I did notice a few times that objects popped into existence a little too close to not be jarring, and once or twice it seemed the textures were a bit low resolution, but neither of these were huge issues. If there is any big issue graphically, it might be that the universe is very dark. It was frequently difficult to see other ships without all the targeting highlights and such. What’s more, these highlights sometimes obscure your target, so even up close you couldn’t really get a good look at what you were locked-on to, which was a pity, because what I did see was gorgeous. 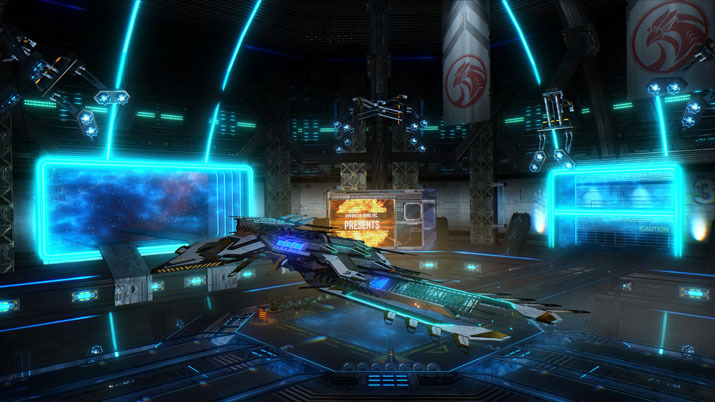 Speaking of visuals, you’re allowed to customize your own ship in the shipyard, giving it new paint and decals. I enjoy that kind of customization a lot, though I have to admit, the implementation is a bit clunky. If you’re a stickler for detail, it can be a bit of a pain to get the clean lines you might want, and I believe some level of detail is simply beyond the engine. Still, it’s a nice touch. The soundtrack was also on point, with music that I, for a change, didn’t mute after the first couple of hours. I suppose this is subjective, but I didn’t find the BGM grating after a long stretch, as one sometimes does. And the battle sound effects were crisp, energetic, and exciting. I’m not exactly an audiophile, but I was pleased.